For additional information about this book, visit the website saigon-tea.com. 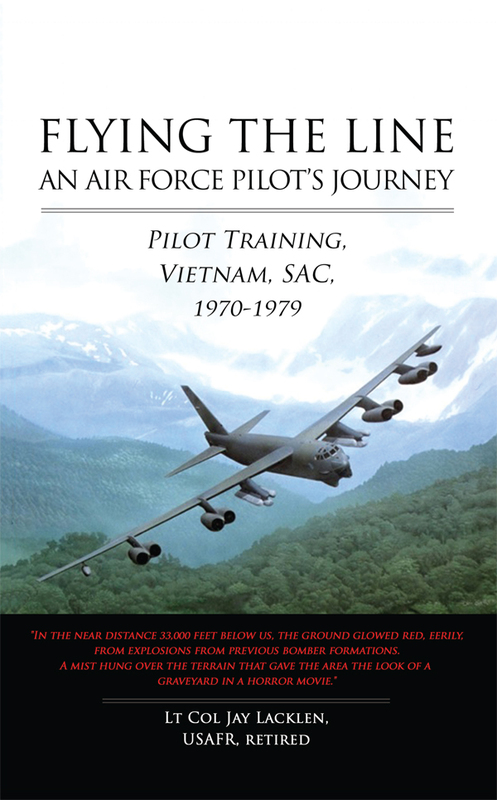 Embarking on an insightful journey through the 1970s American military, Jay Lacklen takes you on a rich and often enthralling adventure from pilot training to his surreal, nightmarish B-52 bomb run during the Vietnam War. Bringing a fresh perspective to the era, Lacklen shows how the 1960s military draft diverted him from a prospective journalism career into an Air Force cockpit to avoid the rice patties of South Vietnam as an army rifleman. He speaks to the reader as a writer trying to become a pilot rather than the other way around. Lacklen brings to life the world of war through a thoughtful and descriptive narrative full of poignant and tragic episodes, mixed with bawdy and hilarious tales (usually coming at the author’s expense) from 1970 to 1979 in this first book of a trilogy. Ensnaring you with accounts of bomb runs over Cambodia and several episodes of his aircraft on the verge of crashing, Lacklen delves into the darkest moments of a pilot’s life with a writer’s eye for detail and descriptive ability. Difficult subjects are faced head on, including encounters with hookers in Southeast Asia, a nuanced view of the North Vietnamese Army, and a surprising perspective on the Vietnam War protests including actress and activist Jane Fonda. Lacklen explores many events of the time from the Kent State Massacre, to the fall of Saigon and the Mayaguez disaster as seen from U-Tapao AB, Thailand. Few military pilots have verbal tools to deliver the story so well. The added feature of a contemporary soundtrack places you in the aura of the era as no written word can, such as the opening guitar notes from the song “We’ve got to get out of this place,” by the Animals, to the Vietnam theme songs by Creedence Clearwater Revival asking if you have ever seen the “rain” of B-52 bombs. Step back to January 2, 1970 and let the decade-long Air Force journey begin, a journey all students of the era should undertake. Jay Lacklen is a retired Air Force reserve pilot who resides northern Virginia. He flew in, or in support of, all militatry actions from Vietnam in 1971 to Iraqi Freedom in 2003. Mr. Lacklen grew up in Arlington, Virginia and received a bachelors degree in American History from the University of North Carolina-Chapel Hill in 1969. He was based in Texas, Vietnam, Maine, California, Delaware and Massachusetts with the Air Force and Air Force reserve. He is married with four daughters and one grandchild. This is the second of a three-book memoir on his Air Force experience.